Air Canada Rouge is selling off some seats from Montreal to Samana in the Dominican Republic for $250 CAD roundtrip including taxes. 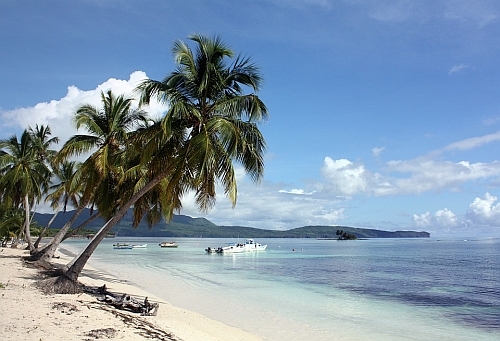 Samana is different from the typical 'all inclusive destinations' in the Dominican Republic. It's more laid back and authentic. You'll find more independent travelers and European ex-pats here. It's also known for having some amazing whale watching between January and late March. Update 2/3 - All dates are now showing as $50 more ($300 roundtrip) once you get to the verified price screen. 3. Search for a flight from Montreal (YUL) to Samana El Catey Int'l (AZS) , Samana, Dominican Republic. screenshot from the Air Canada Vacations website. 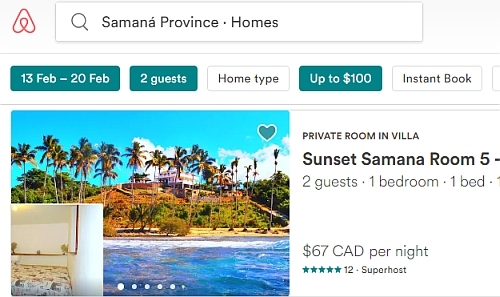 Where to stay in Samana? montreal, yul, flight deals, caribbean, western caribbean, air canada rouge, greater antilles, samana, dominican republic and azs. One Response to "Montreal to Samana, Dominican Republic - $250 CAD roundtrip including taxes | non-stop flights"